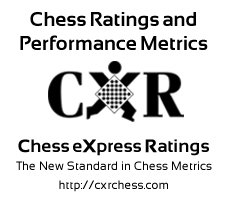 "Sahasra Chittemsetty should study recent lost games and look for better moves. Rating is in a downward adjustment and will stabilize at some lower level. Every hour of study (especially with a coach) will make a real difference. Be sure to review every move of your games -- especially your losses. Try to figure out where you went wrong and what might have been better. Very high percentage of draws might indicate fear to pursue aggressive play. Sahasra Chittemsetty has not had a win in 12 games."